Dr. Joseph Mega heads the county's street team. David Morris and his wife, Kathryn Millard, live in a homeless encampment in Antioch. Both are addicted to heroin. Morris first started shooting up to cope with flashbacks from the Vietnam War. He still has nightmares, and some nights his wife hears him crying in his sleep. The pair has been in and out of treatment for decades. But for over a month now, Morris hasn’t used heroin. The Contra Costa County street medicine team is among a growing number of efforts to bring Suboxone to people wherever they are. The approach also means abstinence is not required for users to access these prescriptions. In California and around the country, an influx of federal funding targeted for such “medication-assisted treatment” has spurred the growth of these programs. They’re run by street teams, out of emergency rooms and even in jails. Studies conducted since the national opioid epidemic started claiming record numbers of lives show people who take buprenorphine and other similar medications are less likely to die from overdoses and more likely to stay in treatment. But access to these medications has been limited. Doctors require at least eight hours of special training to prescribe buprenorphine, and in Contra Costa County, where Morris was fortunate enough to land a prescription, only about 3 percent of providers are licensed to write them, a figure roughly 2 percentage points below the national average. In fact, a county civil grand jury last May concluded that there were not enough treatment options of any kind available for opioid addiction. “There is a need for on-demand treatment, but delays in access to medical care result in missed opportunities to reduce harm, aid recovery, and prevent overdose deaths,” the report read. 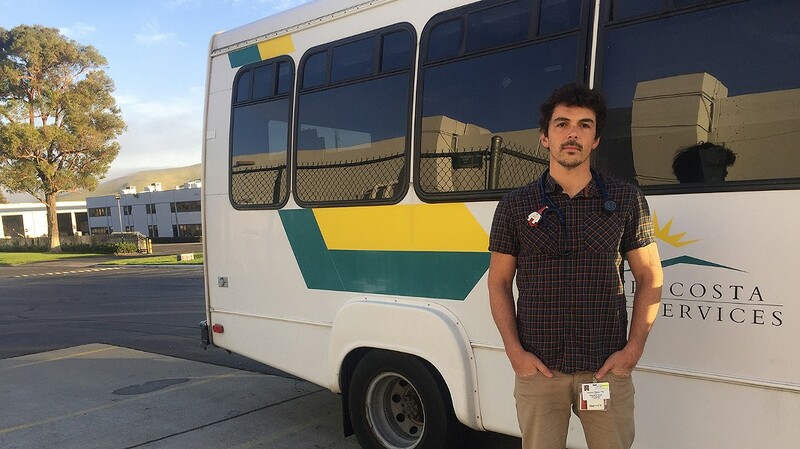 Contra Costa County’s street medicine team is attempting to fill some of those gaps, said Dr. Joseph Mega, who heads the team, along with the county’s overall Health Care for the Homeless program. Mega previously referred homeless people looking to quit heroin to the county’s treatment group. But homeless people often have trouble keeping appointments, and many never turned up. So early last year, when a patient on the streets told him he was looking to quit, Mega decided to prescribe Suboxone on the spot. Mega and his team have been bringing the prescriptions directly to people living on the streets ever since. Once users receive prescriptions, they can pick up their medicine at any local pharmacy. Mega’s street medicine team has prescribed Suboxone to 58 people on the streets in the past year. The program has a nearly 45 percent retention rate — defined as the percentage of patients who went on to receive at least three prescriptions. Last May, Mega developed a program in the emergency department at Contra Costa Regional Medical Center in Martinez for medical staff to start patients in withdrawal on Suboxone. The program is modeled after a similar effort at Highland Hospital in Oakland, one of the first of its kind in the country. Mega also hosts webinars to educate physicians about this medication. The influx of federal funding has created the opportunity to do that. California is on track to spend close to $15 million in federal funds by 2020 through a program to expand access to medication-assisted addiction treatment for emergency departments and hospitals, and over $6.5 million to bring it to drug courts and even to jails, where the practice is much less common. In fact, only about 30 jails or prisons across the country widely offer Suboxone or methadone, according to U.S. Justice Department data. Yet research shows the consequences of not providing such treatment can be especially deadly. One 2018 study showed that people in custody are 40 times more likely than the general population to overdose after they’re released. In 2016, Hamilton persuaded Contra Costa County jail officials to offer buprenorphine doses to people in custody. At first, she said, jail staff were worried that inmates would sell the medication, a fairly common practice known as diversion. For former inmates like Allyn, however, accessing prescriptions after release from jail can be difficult. Suboxone can cost up to $500 a month, putting it out of reach for many people without insurance. There are also other barriers unique to this class of medication. Insurance companies, for example, can cap how long patients can receive coverage for the treatment and how many doses they can take. It can also be difficult to find a clinician to prescribe it. Dr. Alex Stalcup, medical director of the New Leaf Treatment Center in El Cerrito, said he spends at least one full day a week arguing with insurance companies on behalf of patients desperate to access Suboxone. One of his patients recently had a seizure and needed to be hospitalized after going into withdrawal when an insurance company declined to cover his buprenorphine prescription. David Morris, who lives at the Antioch homeless encampment and got help from Dr. Mega more than a month ago, still takes daily doses of Suboxone. But his wife, Kathryn Millard, shoots heroin every day. Millard said she had been going to a methadone treatment clinic that required daily attendance, but just showing up became too difficult for her. She hopes to get a prescription just like her husband’s from Dr. Mega’s street medicine team soon.